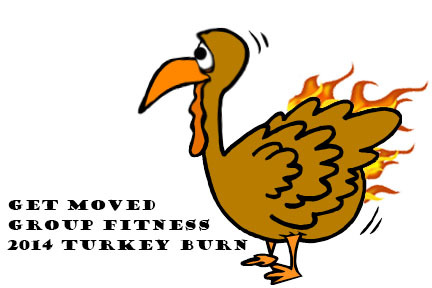 Join DAHLC's Group Fitness staff to GET MOVED with the first ever post-Thanksgiving TURKEY BURN! Choose between two 'burn' options: RIDE & ROLL or ROW, REPS & REBOOT. RIDE & ROLL combines a 1 hour indoor cycle class followed by an athletic stretch and release class. ROW, REPS & REBOOT combines 20 minutes of rowing, 20 minutes of strength training and a 1 hour with a Warm Yoga Fusion class. Space is limited to 30 participants in each class. Fee of $10 is due upon registration and is non-transferrable. A minimum 48-hour advance notice of program start date required for a refund.